Many people feel that they need to hide their teeth. They put their hands up at their mouths when they laugh and talk, they smile with their lips closed, or sometimes they choose to not smile or speak at all. Discoloration of the teeth is an unwanted occurrence, yet it happens to almost everyone. Whether you are an avid coffee or soda drinker, you smoke, or you have bad genes — teeth stains are almost unavoidable, even for those who practice good oral hygiene. However, there is good news! Teeth whitening can help almost anyone regain their naturally white smile — or many times, even a whiter one! At Gold Hill Dentistry, we use top quality and painless teeth whitening treatments to help our patients achieve dramatic results. Our in-office whitening procedures allow patients to take layers of stains off of their teeth to reveal a beautiful white smile. Take home teeth whitening kits are also available to our patients. For our patients who continue to keep their dental appointments and who continue to keep a good standing with our office, Gold Hill Dentistry will continue to provide refill kits to patients for at home use. 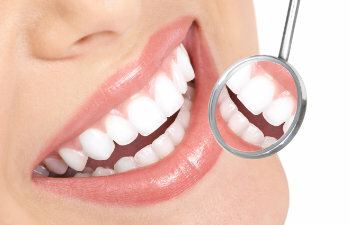 That’s right, we will give you free whitening treatments for as long as you keep your routine dental appointments and show us that you are committed to your oral health. Gold Hill Dentistry wants to partner with all of our patients so that they can achieve optimal oral health. While we may be able to thoroughly clean your teeth while you are in our dental chair, only YOU can keep your mouth clean and healthy in between dental appointments. By patterning together, your mouth can be its whitest, brightest, and most beautiful.